Who dies first when everyone receives lethal damage? 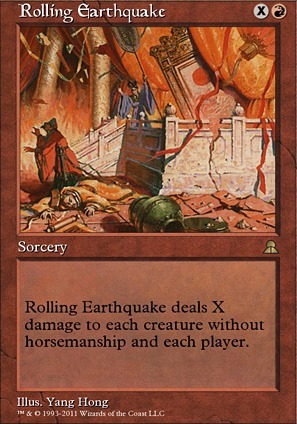 Rolling Earthquake deals X damage to each creature without horsemanship and each player. Pretty much. I'm giving JVP a go at the moment - bit of a nombo with Cursed Totem but otherwise great for the deck. 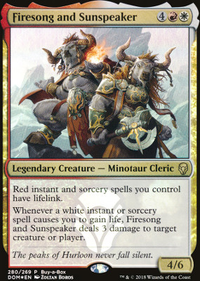 I've never been unhappy with Fire Covenant but the arguments against it (using life, prohibitive mana cost, not really needing an instant speed wrath) are starting to win me over. Still getting punched in the face by Tymna a fair bit so back to Rolling Earthquake - Pyroclasm is likely to get a trial run in the near future too. Vandalblast will likely rotate back in when the fast artifact mana and scepter decks inevitably become more prevalent again. All worthy cards. In this scenario, I am in a game of commander. I am playing Thrasios, Triton Hero and Vial Smasher the Fierce storm. 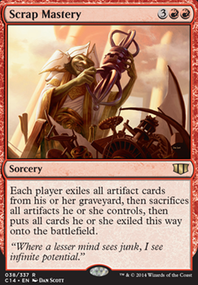 I have only a couple of win conditions: Isochron Scepter (with something like Lightning Bolt under it and a Paradox Engine out) and Aetherflux Reservoir . But sadly, both of those are irrelevant. Both scepter and reservoir are in my graveyard as well as all of my recursion cards. I have no way to shuffle my graveyard into my deck. The rest of my deck consists of mostly rocks and cantrips, but no clear way to win. 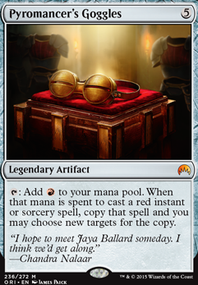 I am, however, able to storm off quite nicely with a Paradox Engine and generate 50-100 mana of each relevant color. I then find myself with a copy of Rolling Earthquake in hand. If I cast Rolling Earthquake for a large enough amount of mana to reduce all player's life totals to zero or less life, how does the game end? Does any player win based on turn order? Do I win? Thank you in advance for any insight you can give on the issue. There are some better red X spells than Red Sun's Zenith and Demonfire in my opinion. I prefer Rolling Earthquake , Rolling Thunder and Devil's Play . Runehorn Hellkite out, Urabrask the Hidden in. This has not changed. Mana Geyser out, Coldsteel Heart in. This will help get Neheb out faster, Mana Geyser does not contribute to this and functions mostly as a redundant mana boost to fuel X spells. Neheb already does this perfectly fine. Also, I am not feeling comfortable with only 34 lands. Fault Line out, Rolling Earthquake in. Instant speed Earthquake effects are not needed, since I will only cast big X spells in my postcombat main. Thanks for the feedback @multimedia, much appreciated as always! Took the deck out for a first try last night and I had an absolute blast. 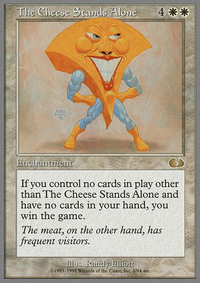 Never played an EDH deck as explosive as this one before. I won multiple games out of the blue, with an Banefire of X=38 as a highlight. Runehorn Hellkite out, Urabrask the Hidden in. The wheeleffect from the Runehorn Hellkite seems too conditional and most of all too costly. It does make a nice target for discard, but I expect much more value out of Urabrask the Hidden in terms of explosive turns. Sizzle out, Rolling Earthquake in. Simply a much better burn spell with better applications. If Sizzle was 2cmc I would still consider it for ramping with Neheb. 1 Mountain out, Coldsteel Heart in. 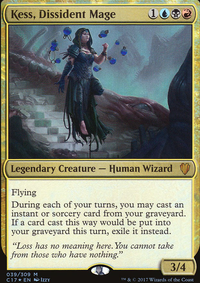 More ramp, more tempo, faster plays. 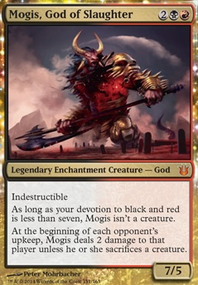 Hey, very nice budget Commander deck.